An aerial photograph of Singapore's Central Business District dominates the living room wall of Bhabhindra Bahadur Malla's modest home in Pokhara. The picture was taken in the mid-1980s, the year I was born. Bhabhindra pointed to key landmarks, places with fond memories. Many of the buildings or places have changed I said. He replied: "That is Singapore, always changing." 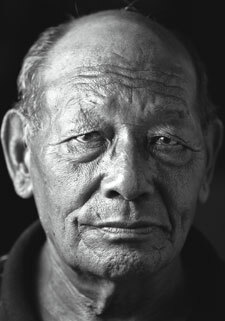 His story was one of the many I collected in this anthology of portraits and stories of retired Singapore Gurkhas in Singapore and Nepal. 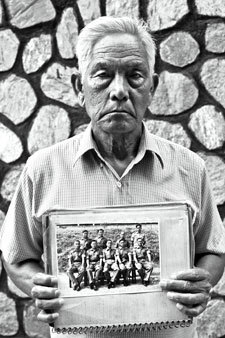 The Gurkhas are famous for their bravery, loyalty, and impartiality but Singaporeans know little about them and their families who live in a barricaded compound in Mount Vernon Camp. 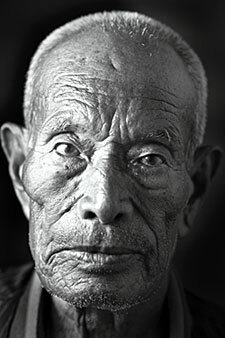 There are over 2,000 retired Gurkhas in Pokhara, Bhairahawa, Dharan, and Katmandu, and I tracked some of them down for this book which serves as a visual archive of an invisible community. Their memories and their stories, if not collected, will be forgotten. Remembering these Gurkha veterans is to give them a place in the history of Singapore and Nepal. When I arrived in Singapore for the first time, it was a surreal experience. Compared to my home in Nepal, Singapore was surrounded by so much water. I looked forward to visits to Pasir Ris beach for annual picnics with my friends from the Gurkha Contingent. And we brought our families too. There, I would watch my son, born and raised in Singapore, take a leisurely swim by the beach. Our wives and their children too will enjoy the pristine waters we cannot get back home in Nepal. 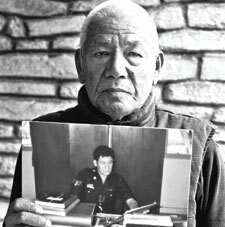 Retired staff sergeant Chandra Bahadur Thapa, 79, holds up a framed photograph of himself on office duty in 1976, three years before retirement. He served 1952-1979. When the Gulf war broke out 20 years ago, I remember clearly how the Singapore Gurkha Contingent was called into action. Iraq was, and still remains, a major oil exporting country. The price and security of oil escalated because of the war. Immediately, we were tasked to protect Singapore's offshore islands and the oil refineries from terrorist sabotage. Singaporeans prepared to cast their vote in the 1959 general election under a new constitution. There was enthusiasm in the air as Singapore became independent. Singapore Gurkhas, myself included, were called for election duty and were deployed at various locations where political candidates declared their intention to contest a seat in parliament. The result: Lee Kuan Yew's People's Action Party won 43 out of 51 seats. In the 1950s I witnessed the Maria Hertogh riots. Standing guard at the old Supreme Court, I remember seeing Maria, reluctantly, being ushered into the car with her biological mother and driven away. Malay and European communities rioted because of a court ruling to give custody of young Maria Hertogh to her biological parents after being raised as a Muslim for eight years. Outside the Supreme Court, the army had to be called in and a curfew declared. 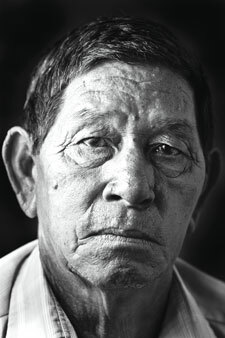 Retired police constable Bhakta Bahadur Gurung, 88, served from 1949-1961. How is Lee Kuan Yew and his family these days? I guarded his residence, and most of us from the Gurkha Contingent have guarded 38 Oxley Road at least once. I remember seeing Lee's daughter and two sons while they were still young. Now, they have all grown up and doing well, I hope. Now the eldest son is prime minister too, right? Retired police constable Bal Bahadur Gurung, 78, served from 1952 till 1973. Despite being many miles away from home, Nepali traditions and customs are a big part of our lives here in Mount Vernon Camp. I look forward to celebrating Dasain when elders put tika and bless relatives. There are drinks and food all day. It's like Chinese celebrate New Year and the Malays celebrate Hari Raya. The most important thing: such festivals help bring the family together. 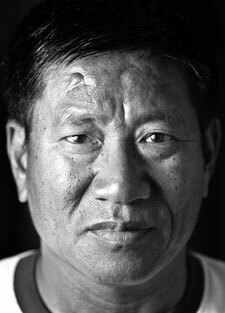 Amber Bahadur Thapa, 52, served from 1980 till 2006. Have you eaten? I am sorry I do not know any English. Good that you are Malay and can understand what I am saying. I can still speak the language a little even after leaving Singapore 40 years ago. Sometimes, here in Nepal, we speak in Malay to practice among ourselves. Then, since the 1950s, Bazaar Malay was the common language used by your parents and grandparents and that was how we communicated. I think now, English is more common. 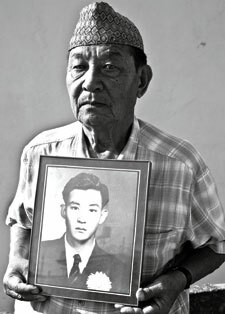 Retired corporal Nar Bahadur Gurung, 74, holds up a framed photograph of himself when he first arrived in Singapore in 1953. He served till 1973. Every three years when I was in the Gurkha Contingent, I would pack my bags and prepare for the long journey back to Nepal. We Gurkhas are entitled up to six months home leave every three years. That is when many of my friends got married, and they brought their wives to Singapore to start a family. It was usually an arranged marriage. From routine guard duty work to quelling disturbances in Singapore, I now find myself ploughing the fields of my village in Baglung district preparing for the next harvest. It is tough work, but I get to see my parents and village friends back home. We traded our rifles for the sickle. 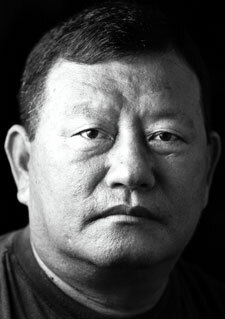 Retired sergeant Dil Bahadur Pun, 72, served from 1961 till 1984. 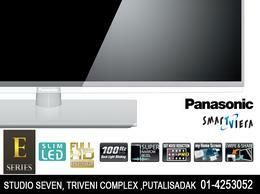 Congrats, Zainal for your exciting project! No doubt, these pictures speak tons of volumes by themselves! I wish the government of Nepal and the Nation as a whole learned to respect and appreciate the talents, work ethos, and, above all, the character of self-discipline (key attributes necessary for modern progress and growth) the Gurkhas, the original community from the hill-tops and the high mountains, brought back home when they repatriated after their overseas services. 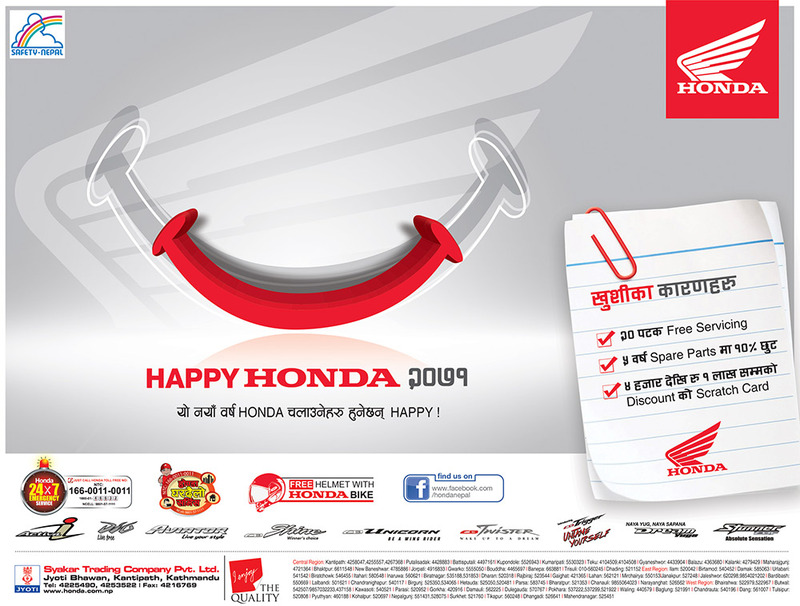 Had we, the Nepalis learned, on time, to tap the technical 'know-how' and the work culture these guys brought back home from Singapore, today, our country would not be humiliated to stand in the last row among the poorest countries in the world. These Gurkhas could even play the role of "change agents" in transforming thousands of communities in Nepal. I wish the next generation of political leaders in Nepal learn to respect the character of the Gurkhas and use their talents in nation-building. The Nation has certainly failed to value this invaluable human resource among our fellow compatriots. couldn't say it better than commentator #1, hats off to these brave souls and yes we missed the opportunity to utilise their vast knowledge and experience that they bought back. also maybe they could have helped in the peace process as well. ex gurkhas from british and indian army formed thier own chain-of-command and did volunteer in peace process while verifying maoist combatant n storing up their arms in a container. 'Dharan' is a town an example in itself where the dedication n contribution of ex soldiers r evidently visible and respected. According to the historian,when the population of Nepal was only 5 million.90% of the Gurkhas especially from the martial race from Nepal were sent by regimes to fight for the British. And on the rear only women and childerns were left behind to work in the farm. And it is almost 200 years Gurkhas are still struggling hard to find its "Status"in home and abroad. Nepal and the British govt have used the Gurkhas as a diplomacy currency in the international markets and collected the huge revenue from the Malaya,Singapore,HongKong and now from the oil reach state of Brunei. congratulations on the work and exhibition, truely amazing work, that is needed and a my hats off to you Zainal!!! The same goes to those brave men who have served and made their contributions around the world and in this case Singapore! Comment nr 1, right on!!! the main problem is that the leaders of Nepal have turned a black eye to these great men and thier knowledge, who could have been given so many more opportunities to contribute to nation building once they returned...but i suspect corruption and in-fighting like crazy dogs, among the so called political leaders also made what was good and useful not useful in their eyes...as it didnt benefit thier own pockets, very sad + stupid.....but i do hope that one day our leaders and people will wake up n see who the real leaders are....like the gurkhas, who not by words make the change but by thier efforts, honest and hard working with discipline!